Inferno Hot Pilates (IHP) is a fun, challenging training system which combines Pilates principles with High Intensity Interval Training (HIIT). Inferno Hot Pilates is a sixty-minute class which focuses on strengthening the core, increasing endurance and flexibility, and burning fat. 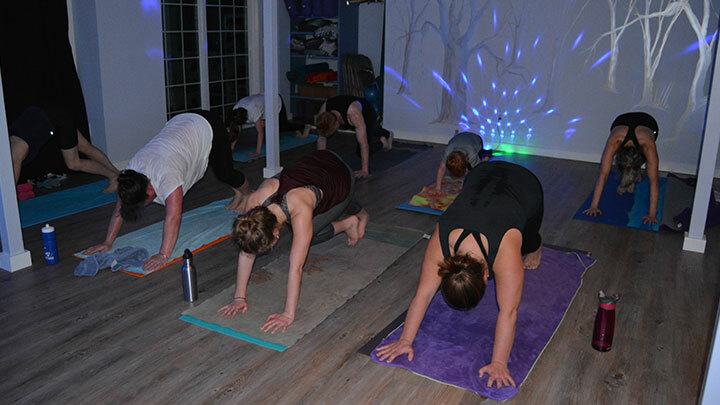 It’s a super fun class done to upbeat music and is a wonderful complement to your yoga practice. It is an amazing workout that creates long lean muscle mass and improves circulation and overall health. You will notice quick results. It is performed on a yoga mat & towel making it zero impact, therefore protecting your joints and muscles from the pounding of other exercises. It is taught in a heated room with energetic music, designed for all fitness levels! If your main passion is running, cycling, skiing, golfing, weight lifting, or other sports, you will enjoy the cross-training benefits of a challenging, Inferno Hot Pilates workout.